Style your bedroom like a true feng-shuist! When it comes to our bedroom we want a space that promotes rest, relaxation, and simply oozes comfort. Our bedrooms are places to unwind, and for this reason it is extremely important to focus on the different design elements within the space, in order to maximise its warmth and sense of hospitality. 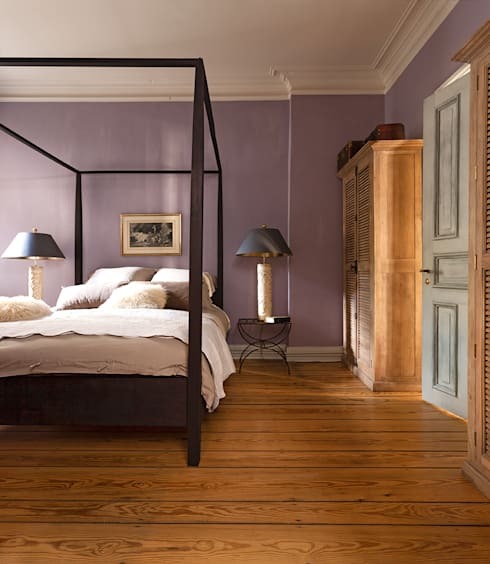 Today on homify we are concentrating our attention on an age-old Chinese system that will revolutionise the way your sleep. Feng shui is a practice that bases itself on the idea that our homes are reflections of ourselves. Following this mantra, if a room exhibits certain qualities, these will transmit themselves across to the individual, and can be used to influence specific traits and desires. With feng shui you need to think about aligning your domestic setting with who you are as a person, what you want, and where you wish to go. The energy contained within you needs to mirror and harmonise with your home environment. So how does one decorate a bedroom using feng shui principles? You need to carefully consider each element in the room, and how it will affect your energy and life force. The practice believes that each item of furniture, each colour, and each object contains a source of power, and this is able to influence and modify your aura. Within feng shui there are five different elements: water, wood, earth, fire and metal. Each element is represented within colours and shapes, and can characterise different aspects of life. For today's Ideabook we have chosen nine popular colours that are often employed within the bedroom and analysed their ideal usage. 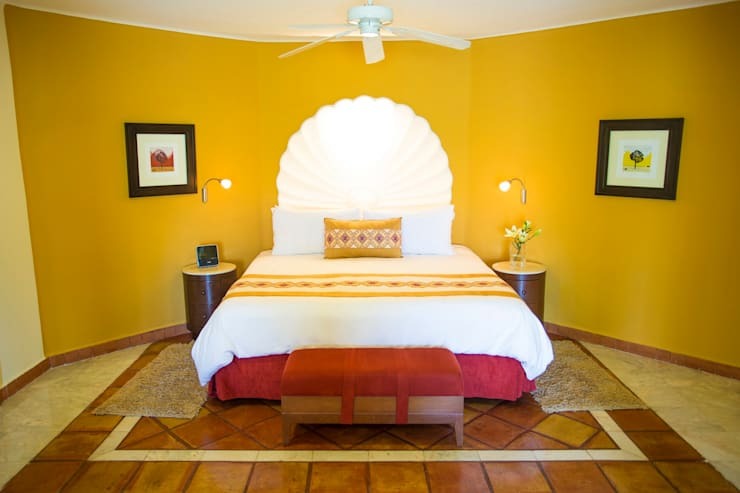 If you would like to gain some inspiration for your sleeping space, as well as some helpful feng shui decorating ideas, read on to learn more! Blue is an excellent choice for those who want to evoke a restive and tranquil energy within their sleeping quarters. Available in many different shades and tones, blue can assist in relaxing those who find it difficult to settle after a long and gruelling day. 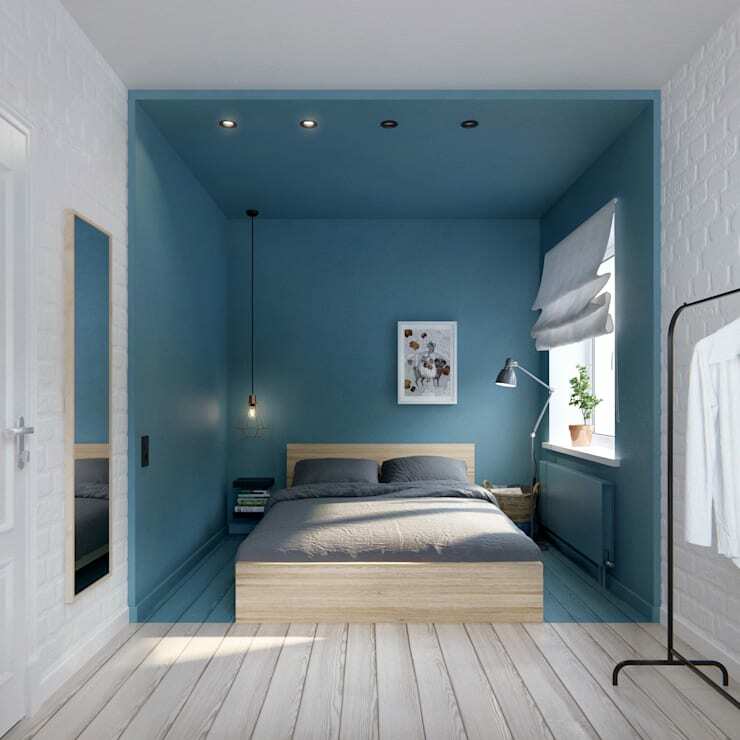 Blue can be added and employed in many different ways, but is popular as a wall hue, and is often paired with white, black, and grey. Exuding a sense of calmness, blue is the colour of luck, skills and wisdom; popular with individuals who want to excel in business. Evoking a sense of knowledge and education, grey tones are of particular benefit to those who wish to travel. This might mean travel in the sense of restful wandering of the mind, but can also propel individuals to feel more comfortable in different settings and experiences. Earthy, rich, and welcoming, the colour brown is essential for a sense of growth and balance in one’s bedroom. 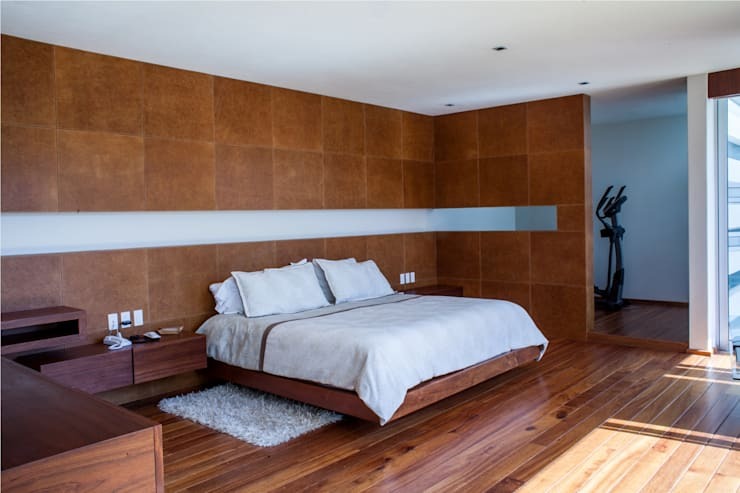 Featuring the two grounded elements of wood and earth, it is clear that a bedroom replete with brown elements is sure to be one that feels stable and composed. 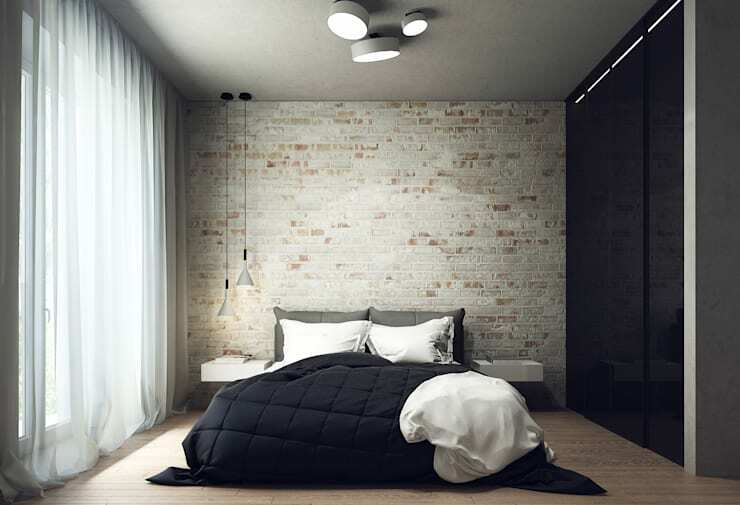 If you need some assistance in designing your bedroom, and are unsure how to devise a good plan or layout for your sleeping space, consider chatting to an expert to get some handy advice and decorating tips. Refreshing, relaxing, and ultra-energised, green is a perfect hue for those wishing to feel comfortable and safe. Evoking family through its calm and considered approach, shades of green refresh one’s mind and soul, and provide stable familial environment. This can also be particularly useful for other areas of the home such as the living room, not simply the bedroom. Purple hues are associated with a sense of excitement and invigoration. Working well with other passionate tones such as red, white, gold and mauve, this intriguing and complex colour will build a bedroom rich in love and sexual energy. Purple is associated with prosperity, which can mean monetary value, but also a prosperous marriage and relationship. Bright, cheerful yellow is exactly what one might imagine; it is a hue that glows and exudes a sense of sunny invigoration. The meaning of yellow is one of health and wellness, due possibly in part to its warm yet joyful aesthetic. Often also evoking knowledge and education, yellow is a brilliant colour that works wonderfully in many different rooms of the house. Although usually associated with passion and love, red is also the colour of fame and recognition. An energetic hue, with a penchant for depth and desire, the different tones and shades of red can truly create an interesting sleeping space. Employ red within your bedroom to feel invigorated and grounded, but use this colour carefully as it wields tremendous power, and can easily overwhelm. Probably one of the most common and popular colours when decorating, we often think of white as a neutral hue. This nondescript hue can however exude power and energy just as some of the brighter and more vivid colours do. 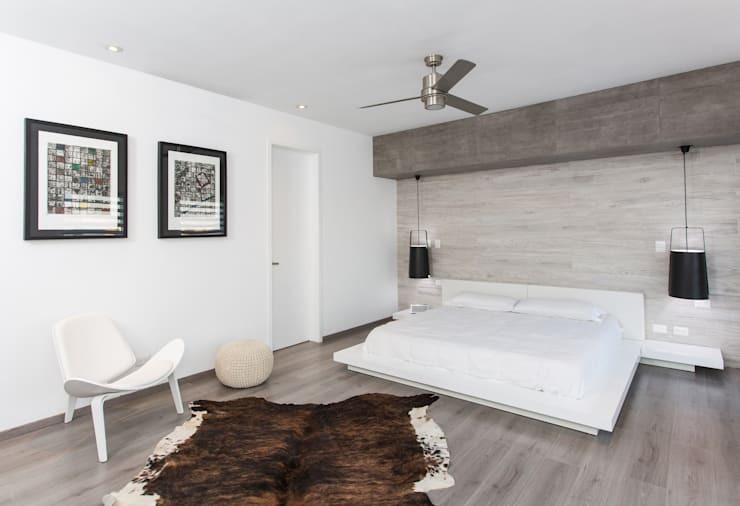 With metal as its element, white often symbolises children, and for this reason is popular in bedroom spaces, as well as living rooms. It can offer a helpful aura and works wonderfully when paired with any other hue. Expect to feel love-filled energy with an active yet peaceful vibe. Furthermore, the white metallic hues such as silver, pewter and bronze are often believed to be important colours for couples who wish to conceive. Although western society has rather morbid association with the colour black, feng shui and indeed eastern belief systems tend take a different approach with this mysterious hue. Centred on one’s career and seen as an extremely lucky colour, black is a brilliant hue to highlight different areas of your bedroom. Particularly useful if you have a study or small home office within your sleeping quarters, a rich hint of black can provide a sense of success and progression. Which colour would suit your bedroom? Let us know in the comments below!